Sell My Galaxy Tab S 10.5 SM-T800 | How Much is My Galaxy Tab S Worth? How Much is Your Galaxy Tab S 10.5 Worth? 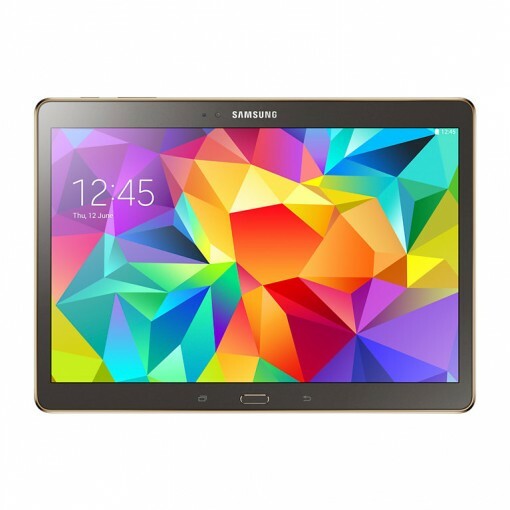 Sell your Galaxy Tab S 10.5 SM-T800 for top dollar at GreenBuyback. Select the information above in order to receive an accurate quote for the Galaxy Tab S 10.5 you want to sell. Click sell item if you agree with the price that is displayed. GreenBuyback purchases cell phones, tablets, and laptops at the highest prices in the industry! GreenBuyback pays cash for your old cell phones, tablets, and laptops. When you sell your cell phone, tablet, or laptop to GreenBuyback you will never have to pay shipping. GreenBuyback is dedicated to maximizing the cash back to our customers. Sell your Galaxy Tab S 10.5 for cash today! Originally debuting in July 2014, the Tab S was a the best 10 inch tablet on the market. Its lightweight design makes it thinner and less heavy than the iPad Air. The 10.5 display screen makes it perfect for reading magazines or comics as well browsing the web or playing games. With an available 128GB storage and a battery life of over 14 hours, this tablet makes a great travel companion for long flights. Selling a Galaxy Tab S 10.5 is so easy with GreenBuyback; send your Galaxy Tab S 10.5 to GreenBuyback with free shipping and you’ll get cash sent to you fast! The Tab S has both wifi only and wifi/4G/LTE models. Both models will be more lightweight than the iPad Air. The Tab S comes with an available 16GB, but, like other Samsung products, the microSD card slot allows for you to add up to 128GB with SD cards. GreenBuyback will buy your Galaxy Tab S 10.5 in any condition, even broken! Simply head to GreenBuyback to get a quote, send your Galaxy Tab S 10.5 in, and get cash quick!